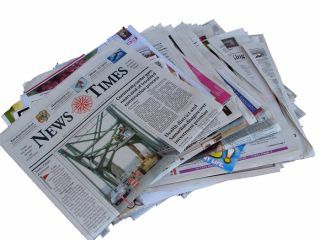 Newspapers will soon feature the same Google adverts that can be found on websites everywhere. After a trial run last year that covered just 50 newspapers and a small number of advertisers, Google today confirmed that it is going mainstream with its bid to take its ubiquitous advertising out of the virtual world and into print. The Google Print Ads service will expand the scope of the AdWords online program to more than 225 newspapers in the US, including The New York Times and The Washington Post. Readers of those papers will see advertising submitted online by Google's customers in America. The search giant hopes the move will encourage firms that currently focus in online advertising to try print placements for the first time, while old-media publishers can add new customers in the face of dwindling advertising revenue. Google's reward from the initiative will be something it has long been seeking as the search and online-advertising markets mature rapidly - a broadening of its revenue base.